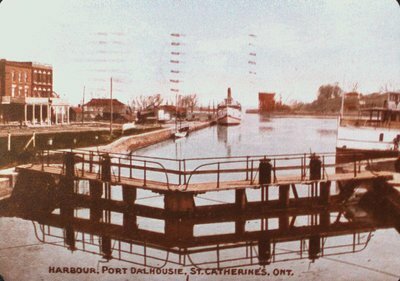 A photograph of a postcard of the harbour at Port Dalhousie on the Welland Canal (Third? ), St. Catharines, Ontario. Date Unknown.